A couple of old friends and I were reminiscing about our childhood the other day. We didn't have cellphones, Internet, big screen TV’s, PlayStations, hand sanitizer, choking hazards on our toys, or $150.00 sneakers. We played outdoors, played sports, got dirty, wore Keds or Converse sneakers, and we had fun … lots of FUN! Today, kids (and their parents!) are over-stimulated, and overwhelmed … life is more complicated. When you add social media to an already hectic environment, there is little time (or space) for peace and quiet. Whether you are 8 or 88, sometimes you have to unplug and weave a little silence into your life. “Blessed are the peacemakers, for they will be called the children of God,” -Matthew 5:9. Not only are we to make peace with each other, sometimes, we need to make peace with ourselves! 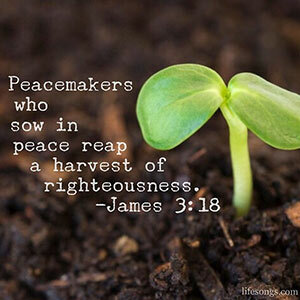 I think it is important to realize that we are called to be peacemakers, not peacekeepers! It is one thing to make peace and quite another to keep peace. James 3:18, “Peacemakers who sow in peace reap a harvest of righteousness.” When we make peace a priority, our life becomes worth living again. 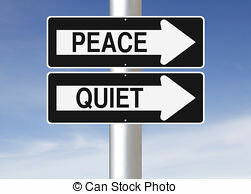 I can personally attest to this need to pursue peace and quiet! My wife, Lillian and I lived in a small town that became a “boomtown” over the 17 years we were there. 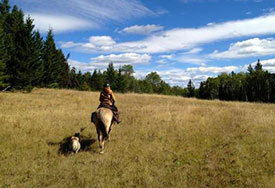 Initially, it was a peaceful place; we didn’t lock our doors, there was little crime, and very little traffic. But as our little oasis grew into a bustling city, suddenly we were confronted with noise, traffic, an escalation of violent crime, and decadence. It took me awhile to put 2 and 2 together, to realize that this environment was a major factor in our wellbeing, peace, and safety. When we moved to the country, it was a complete emotional reboot for both of us! Our next-door neighbors bring us fresh eggs from their farm. People ride horses in the neighborhood. The townspeople are easy going and everybody knows each other on a first name basis. There are no streetlights, so I can see the stars at night. It is a slower, more peaceful pace. I noticed that I am breathing deeper and am feeling less stress. When I’m sitting on the patio, it is sooo quiet, the only sounds I hear are the farm animals next door! Yes, by moving to the country, we rediscovered peace and quiet. Obviously, I realize that a move to the country might not be on the horizon for you, so you will have to make some adjustments in your everyday schedule to become a peacemaker where you are. I am both honored and grateful to be able to create music (Wholetones) that helps create an environment of peace and rest no matter where you live. With the advent of “Wholetones To Go,” you can take that peace with you wherever you go, 24/7! So dear friends, this week’s musing is just a reminder to take some time for you. In the midst of the hustle and bustle called life, take the time to rediscover a few minutes of peace and quiet so you can have a reserve of peace to face whatever each day brings. Thank you for all the love and support you have shown me, and I pray this will be a fruitful, prosperous, and peaceful year for you and yours.